Drew is a positive and dedicated Health & Wellness Coach that enjoys being around other people and helping them reach their goals. His previous experience was working with young men with cognitive and behavioral disabilities and trained them based on their fitness goals. He coached football, basketball and soccer for strength and conditioning and was a personal trainer. You may also remember him from the Fall of 2015 as one of our interns. 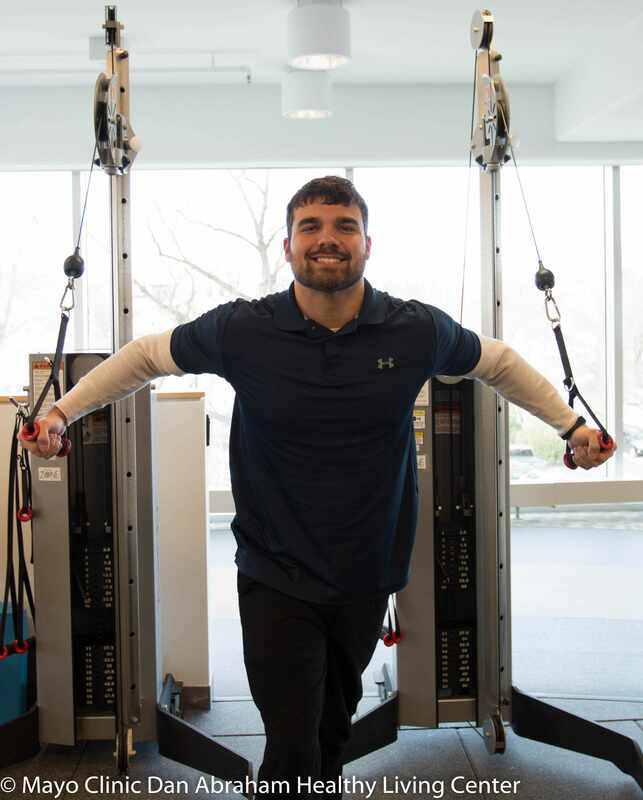 Drew enjoys ice fishing, running outside, watching football, basketball and playoff baseball and reading about bodybuilding and the latest 'fads' in the fitness industry. You can find Drew teaching classes in the Training Studio, leading group trainings and in the Evaluation Suite.